Vocational training is not second place to college. When I was growing up, I adored the TV show Laverne and Shirley. Two young women making it on their own in the world, navigating life with the quirky charm that only a sitcom can deliver. How they made their living was revealed through a few measures of the theme song, a dreary scene of the usually energetic pair looking bored in a manufacturing plant as an endless line of bottles rolled by. Long before running for Anoka County Commissioner, I have worked and continue to work as the Community Relations Manager for North Metro Mayors Association, a civic non-profit of 15 cities and 20 Community Partners. I have talked with others and listened for years about the crisis in the trades industries. Countless businesses have shared with me growing concern over the lack of skilled workers in the trades. Twenty years of messaging from parents and educators to “go to college if you want to succeed”, or that students merely “fail into a trade” is at the center of this problem. There is also an unfortunate perception that jobs in the trades are “grunt work by lower class society with little pay”. Jobs in the trades are good paying, high demand and well-respected careers. But rebranding and solving this perception problem will take time, strong promotion and collaborative efforts. I am passionate to continue to be part of this effort. 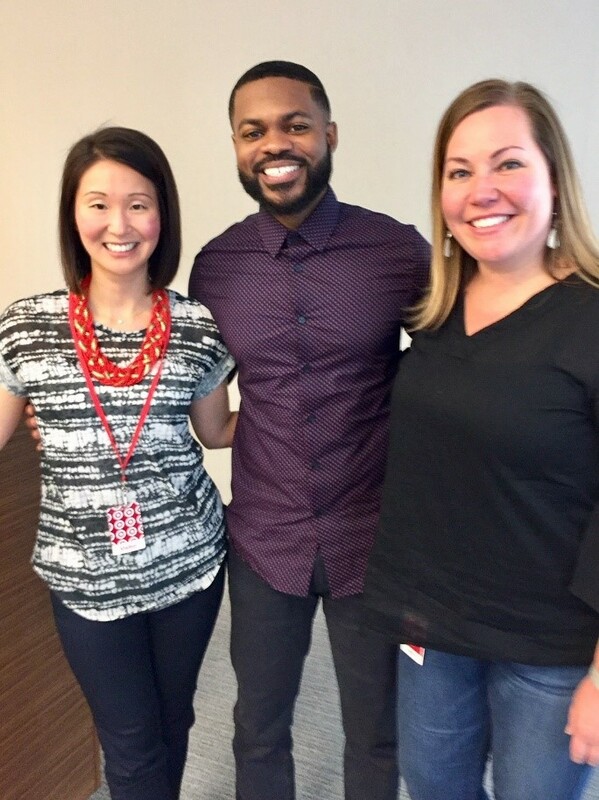 I was recently invited to Target’s worldwide headquarters (in Minneapolis) to be part of their launch of ConstructReach, a corporate initiative to promote opportunities in construction, while keeping Target’s own construction projects local and actively recruiting under-represented people to the trades, such as people of color and women. Target leaders flew in from across the country to witness and give feedback to this exciting unveiling. It was clear that Target’s ConstructReach initiative has monumental goals that do not have fast or easy fixes but need to have action now from all stake holders for tomorrow’s success. Other parts of our community are also taking action. I attended the “Connect the Dots” fundraiser for the Anoka Technical College Foundation. 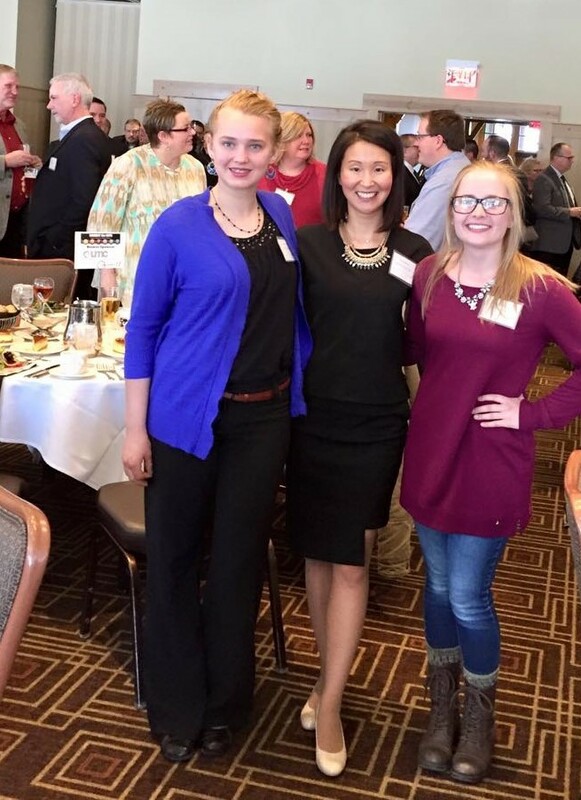 Held at Bunker Hills Golf Course, the room was packed with students, educators and numerous businesses. The students I spoke with were of varying ages. Steve, a middle-aged man I chatted with while waiting in line for a beverage, told me he tried the “classic” route of a bachelor’s degree that saddled him with student loan debt and an obligatory run of dead-end jobs to pay off his loans. His younger brother, a tradesman, had told him for years to go into the trades. The days go fast, the pay is (and was) great and you’d have job security for the rest of your life. Steve listened and acted. And now, here Steve was, about to graduate from the electrical program from Anoka Technical College in a month with a good paying job waiting for him. He couldn’t have been happier with his choice. I asked him about women in his field and he pointed to two young females who were in his class. Kasey and Kaylie were slight in size, both with open smiles who exuded a confidence that is rare in the young. They were generous with their stories, explaining they were usually the only women in their classes. Kasey grew up in the trades, having been on many jobs with her dad while growing up. She didn’t think twice about going into the field as a woman because her family never thought twice about it. It’s just what you did if you had the inclination for it. In contrast, Kaylie did not have this background but liked the idea of going straight to work after a relatively short amount of training and found the whole thing efficient and appealing. There was something about these two women that moved me; perhaps their energy and optimism, perhaps their camaraderie after being the lone women in a rigorous program, or perhaps it was being reminded of the magical gifts of fearlessness that are bestowed to us all in our youth. No matter. I am confident Kasey and Kaylie will never be in trades jobs looking “bored as an endless line of bottles rolled by” as they made their way in the world. Instead, vocational training will give them a bright future of opportunity.